Home / Home Improvement / Why Upgrade From King Size Bed To Super King Bed? Why Upgrade From King Size Bed To Super King Bed? There are many reasons why people upgrade from their king size bed to super king bedding. Usually, homeowners prefer a larger bed size based on their needs, but sometimes it is a matter of choice and comfort. If you have been thinking whether it is time to upgrade or not, this guide will give you the main reasons why you should. A king size bed usually measures 5 feet by 6.5 feet and is quite popular among couples who want to have more space. With the super king size beds, you get a bed that measures 6 feet by 6.5 feet. It is not essential that you have children to choose this bed for your bedroom, but if you do have kids, they make the perfect choice. These beds provide you all the space required to sleep comfortably with your family. Besides, you can also allow your pets to get in. Such larger beds offer many advantages, but remember that they will also need super king doona covers and mattresses. A super king bedding offers more than enough space for a couple that wants to maximise their personal sleeping area. It allows you to enjoy a more luxurious night’s sleep. The basic rule is to choose the largest bed that fits into your room. They make the perfect addition to master bedrooms. If you have a luxurious guest room, you can also add a super king size bed to the large space. Why Upgrade to Super King Size Beds? You spend almost a third of your life sleeping. The quality of your sleep can have an impact on all aspects of your life. So ensuring more comfortable space in the form of super king bedding can contribute in a big way to improving your well-being and life. Super king sized beds are meant to provide more space so that you can enjoy restful nights of sleep. It is a better option than king size beds, allowing a couple and their children to sleep comfortably without intruding into each other’s space. If you have arthritis or some other conditions, this is the perfect option to sleep without disturbing others. The additional width also prevents anyone from falling out of bed, especially if they have the habit of tossing and turning in their sleep. Many sleep disorders arise when people are unable to find comfortable sleeping conditions. Many issues, such as wakefulness, are caused or aggravated when a person cannot settle at night. Comfortable super doona cover sets can not only provide you all the space, but also the comfort to help alleviate such conditions. Having comfortable and spacious space to sleep in can help in many other ways to improve your health. It can help in reducing the amount of tosses and turns, give relief to pressure points, provide proper neck alignment, and allow you to stretch out. All this can help in alleviating or reducing pain due to tension, nerve contusions, frozen shoulder syndrome, tennis elbow and much more. A super king bedding can also provide abundant lumbar support. The additional space can also alleviate pressure on Achilles tendons and sore ankles. If you are a couple, it makes more sense to have super king bedding than a king size bed. If you toss and turn in your sleep, it can cause disturbance to your partner. Even when you get in or out of the bed, having a super king size bed ensures that your partner doesn’t get disturbed. All this will allow you to have a good night’s sleep as a couple, thus contributing to your overall well-being. When you sleep in super king doona covers, you can enjoy comfortable sleep as there is some distance between the two of you. When any of you tosses and turns, it is least likely to wake the other up. Even if you snore, it will not cause as much disturbance as when you sleep together in a king size bed. You will also not have to worry about any loss of intimacy. You can easily move closer to each other. In fact, when you are well slept and rested, it can help in increasing your intimacy. Super king size beds make even more sense for families. As with king size beds, super king bedding also reduce the chances that your partner or children may wake up when you get out. New parents often take turn to look after their baby at night-time. You can get out or get in the bed as many times as you have to without causing distance to your partner. Even if your children want to sleep with you, having a super king size bed ensures that everyone gets to enjoy a good night’s sleep without intruding into each other’s space. It is large enough to provide plenty of room for everyone, so no one will feel cramped. Even when you leave your baby on the bed for some time, the large size of the bed will reduce the chances that they will fall over. Thus, these largest beds also increase the safety levels. Adding a super king size bed to your guest room can make more sense. If you have guests who have kids, having a large bed can ensure that they will enjoy a comfortable and restful sleep. Thus, they will feel rested and happier in your home. It can also help create a better impression. There are many more advantages of super king bedding over king size beds. They are suited to all kinds of décor. Because of its size, it can blend into any bedroom space because it draws more attention. 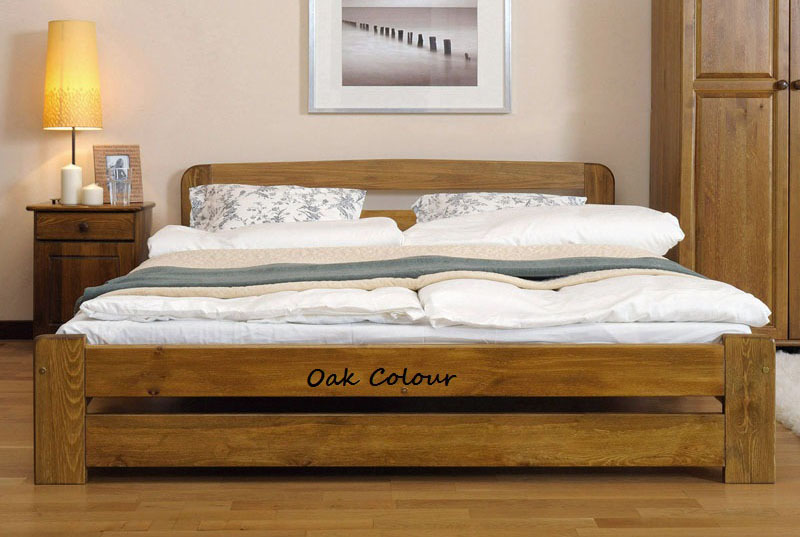 You can choose from a wide range of styles and make it the focal point of your bedroom. You can add more pillows due to the extra space available. This can further help in creating a more comfortable and relaxing space.